The history of Tamil Nadu is punctuated by a succession of dynasties that came to rule the land over the centuries. Each passing dynasty left behind symbols of its power and conquests that have stood the test of time. And thus, a visit to Tamil Nadu is like taking a trip down history lane. The temples left behind by the mighty kings are an attestation to their former grandeur and immense religious devotion. A trip down south is incomplete without a visit to the beautiful temples of Tamil Nadu. This exquisite village by the sea is one of the shining examples of the greatness of the Pallava dynasty. A fitting example of world class heritage, the place was once a major port of South India and the second capital of the Pallava kings. Temples and sculptures can be found scattered around the village and its immediate surroundings. These recount episodes from the great Hindu epics as well as scenes from everyday life in that time. Lord Krishna’s mythical ball of butter stands on the hillside, holding its balance we know not how. 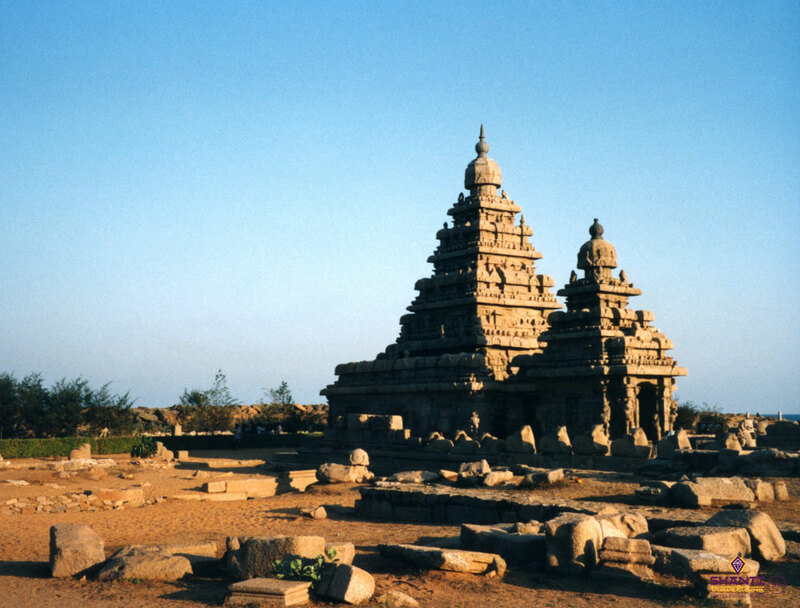 The Mahabalipuram Shore Temple of Tamil Nadu is built in perfect symmetry. It is located on the beautiful sea front. Within the region are also ‘Five Rathas (chariots)’ or monoliths dedicated to the kings’ revered deities. 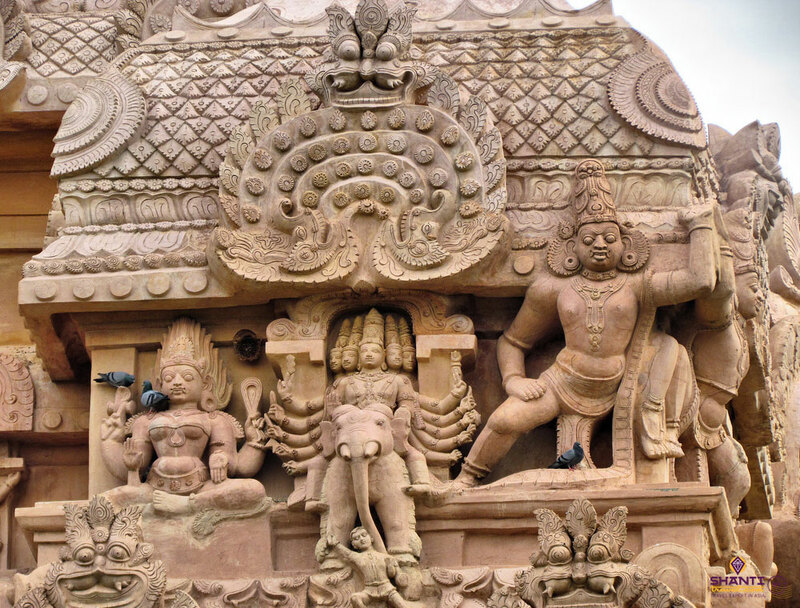 A fine example of the era’s sculptural skills is seen in the ‘Penance of Arjuna’. All of these are archaeological wonders that are not to be missed. The former capital of the Pallavas, this city is famous not only for its silk but also for its temples and its great religious fervour. Built in the 7th century, the Kailasanatha temple is the oldest around here. Dedicated to Lord Shiva, it has a very impressive display of finesse and quality of the Pallava sculptures. It is considered as one of the most beautiful temples of Tamil Nadu. The city has five main temples, of which two are dedicated to Shiva (including Kailasanatha), two to Vishnu, and one is dedicated to Goddess Parvati, Shiva’s wife. 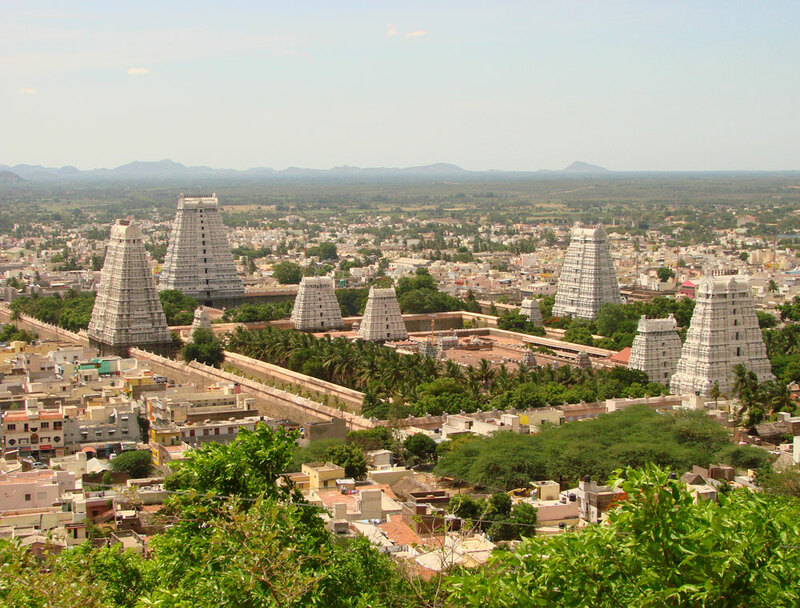 This temple town famous for Arunchaleshvara temple lies at the foot of an imposing hill, Mount Arunachala. A city known for its spirituality, it is one of the five cities that hold an ‘element’ of Lord Shiva. It appears as a column of fire on top of the hill in the shape of the original symbol of the Lingam. The huge temple is spread over 10 hectares in the center of the city. On each full moon night, you can see pilgrims circling the foot of the hill with oil lamps and offerings in tow. The city has more than 20 temples, mainly dedicated to Shiva or Vishnu. The oldest of these dates back to the 7th century. The city also has a basin into which it is believed that the water of the Ganges flows every 12 years. This magnificent temple complex some 35 km north of Kumbakonam is a jewel in the architectural crown of the Chola dynasty. 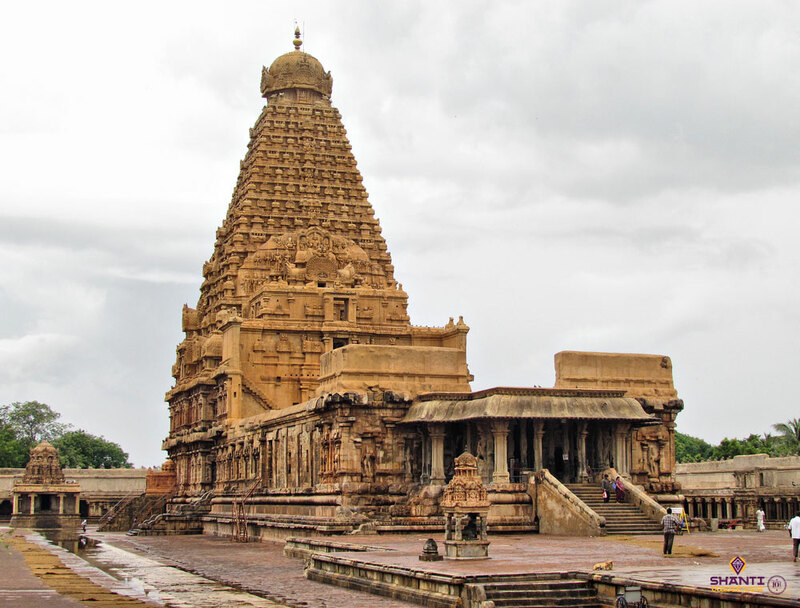 The temple reflects the power and prestige of the Chola empire between the 11th and 13th centuries. In its architecture, this temple is quite similar to the one at Thanjavur. 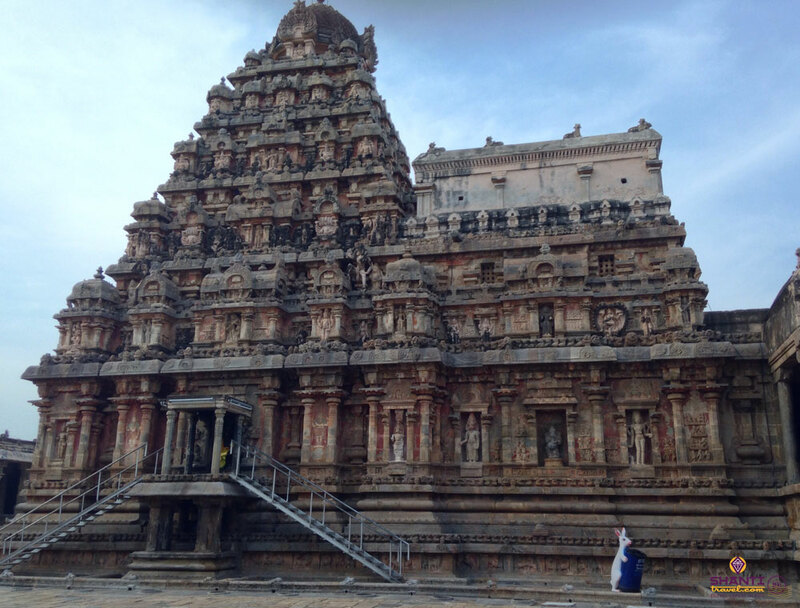 These two temples form part of the UNESCO World Heritage site called “The Great Living Chola Temples”. 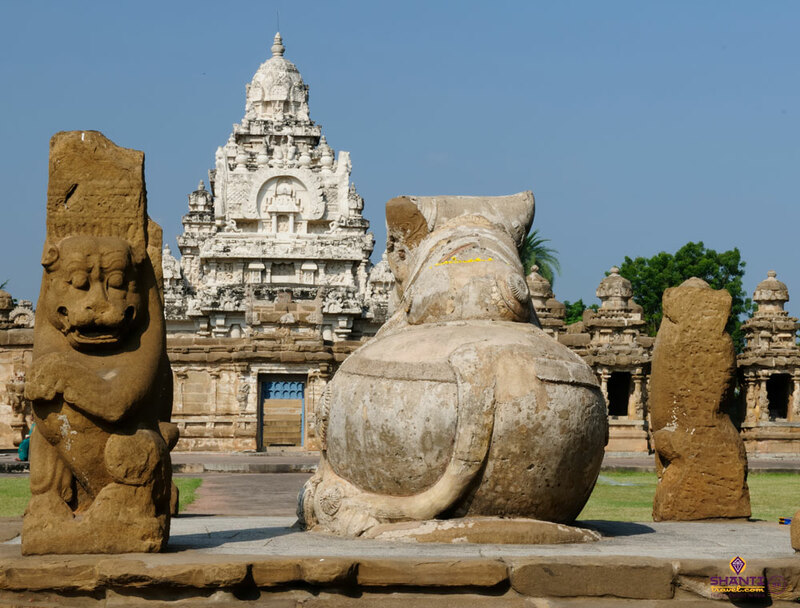 Gangaikonda Cholapuram is one temple of Tamil Nadu you would definitely regret not exploring. Nataraja is the representation of Shiva as a cosmic dancer. This huge temple spanning 22 hectares houses a shrine whose foundations date back to the 12th century. Its gopurams (entrance towers) are real gems of Chola art. By organising a large-scale Indian dance festival every year, it serves to attract great attention to and interest in the temples of Tamil Nadu. 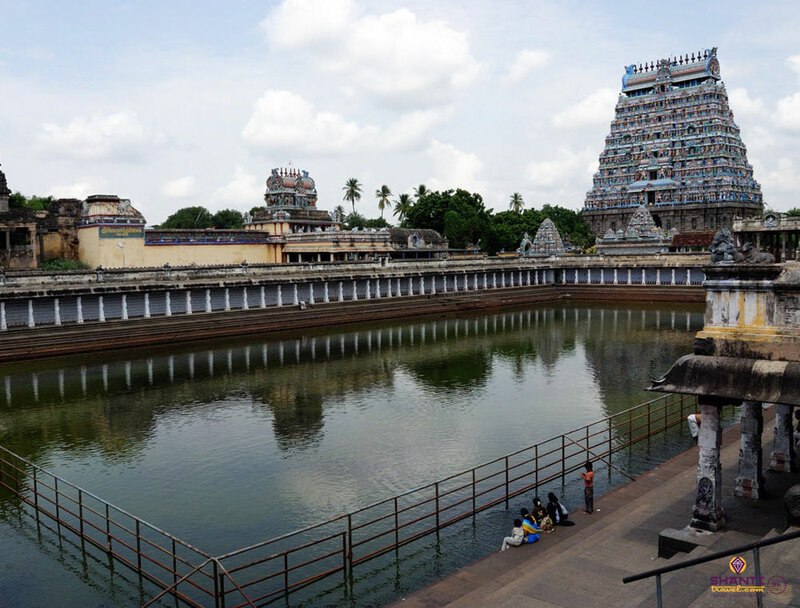 Also known as the Rajarajeshwar Temple, this famous temple of Tamil Nadu was built by the Cholas in their characteristic style having huge proportions. Its construction was completed in 1010, and it recently celebrated its millennial anniversary! Dedicated to Lord Shiva, it houses one of the largest lingams found anywhere in India. The huge granite structure forms a breathtaking sight at sunset, thanks to the orange light that reflects beautifully off the stone. Being a world heritage site, it attracts huge crowds. 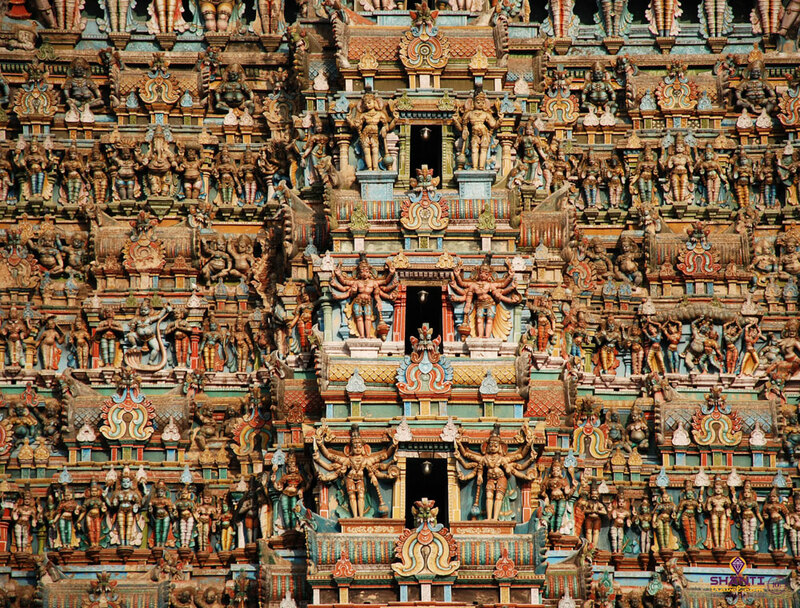 This city is home to two of the most significant temples of Tamil Nadu. The Vinayaka Temple, perched on top of a 83 meter high rock, is dedicated to Lord Ganesh. Its construction was begun by the Pallavas and completed by the Nayaks in the late 14th century. You will have to climb 437 steps to reach the top to admire a small shrine dedicated to Ganesh. The high platform also provides a charming view of Trichy as well as Srirangam, a small island on the Cauvery River. Srirangam houses the humongous temple of Sri Ranganathaswami. It is the largest temple in India and its gopuram, measuring 72 meters, is the highest of its kind in the world. 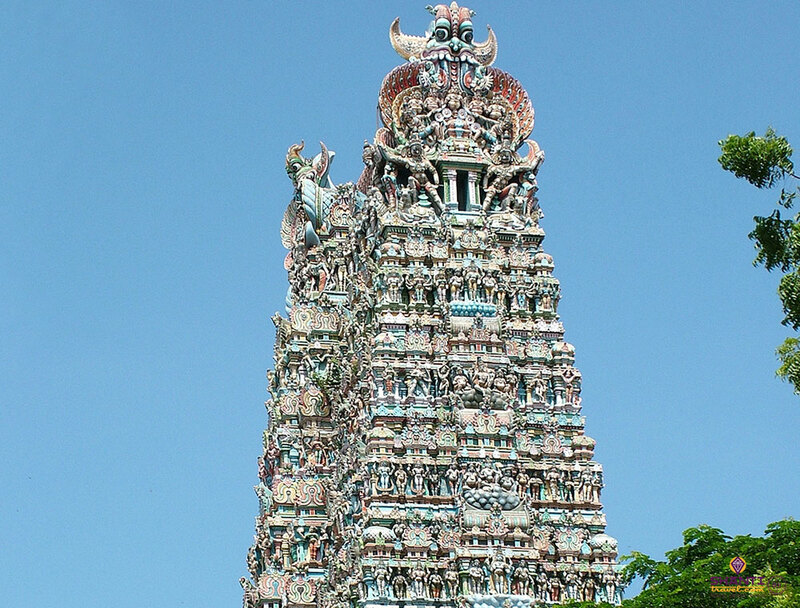 Trichy is an important place of pilgrimage for worshippers of Lord Vishnu. Meenakshi is the goddess who is said to have eyes like a fish. She is one of the incarnations of Parvati, the consort of Lord Shiva. This temple was built in the 17th century, and it took almost an entire century to be completed. It is one of the largest temples in operation in India. Right at the heart of Madurai, this famous temple of Tamil Nadu is visited by thousands of pilgrims every year. This small town located on the island of Pamban is another Mecca of South Indian pilgrimage. According to Hindu mythology, Rameshwaram is one of four divine sites in India. In the center of the city is the magnificent temple of Ramanathaswami, dedicated to Lord Shiva. 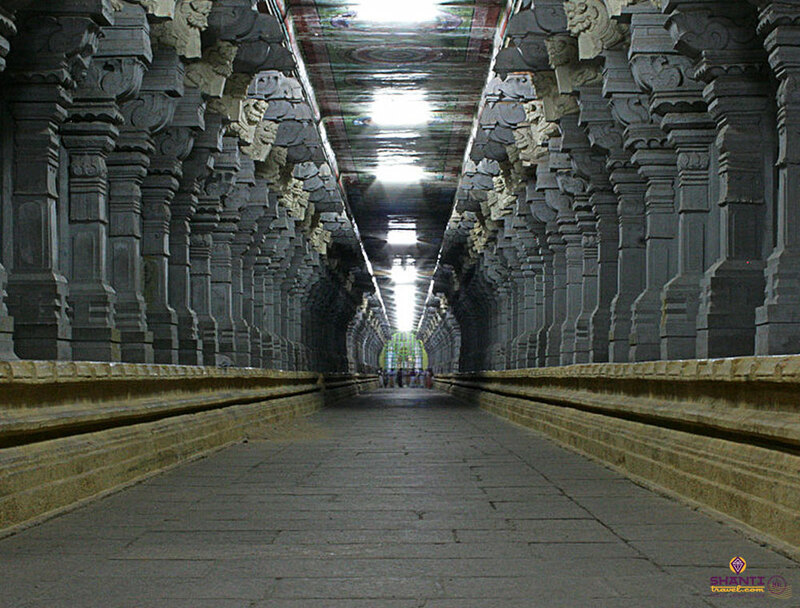 It boasts of the longest corridor ever to be built in any temple of Tamil Nadu, or for that matter the whole of India. 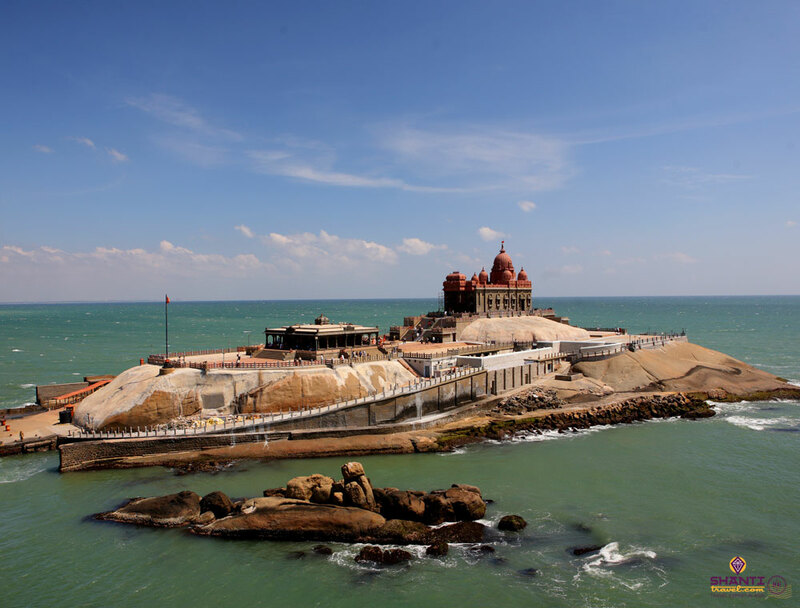 The southernmost point of India, Kanyakumari is home to an important temple dedicated to Sakthi Peetha, an incarnation of Parvati. It is here that the Arabian Sea, the Bay of Bengal and the Indian Ocean converge, making it a major pilgrimage site in India. 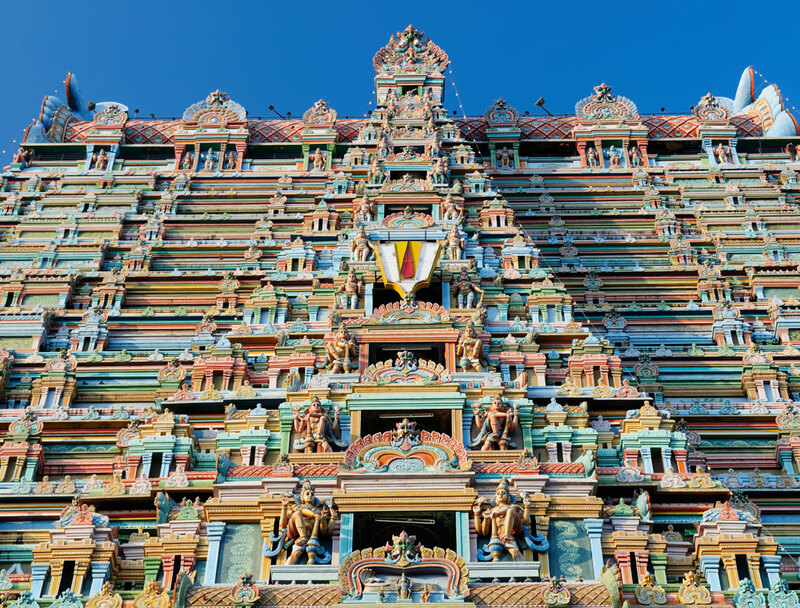 Whether you are intrigued by the Hindu religion and temples worship, or you are an admirer of classical architecture, every temple of Tamil Nadu is a treasure trove of experiences that you are bound to love and cherish.